A base stain is applied to the wood for consistent color coverage. 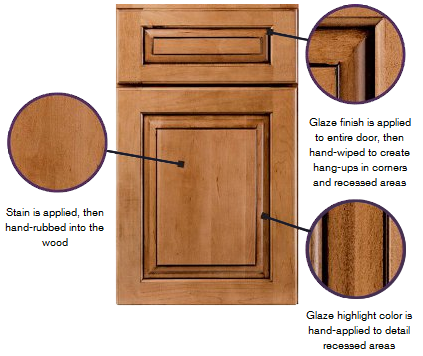 A flood coat of glaze is then applied and hand-wiped, leaving behind soft tones in the corners and recesses of the door. Next, a highlight glaze is brushed into the corners and recesses by hand to emphasize the subtle variations in color.